Op-Ed: Where Is Team Oscar? Where is Team Oscar? Did they slip back into LA in the middle of the night? Or are they still 'guests' of Iran's government? Like, say, Roxana Saberi? If so, it would be the Comedy of the Century! I wouldn't put it past those punks. They love that stuff! First, a recap. Actually, better do an inventory first. This is Islamist punking Iran we're talking about here. Whew! Only nine hostages this time. Last time, they had 52. I'm sorry, did I say hostages? I meant 'guests'. Yet according to this Academy press release on March 2nd, Team Oscar was only going to be staying in Tehran for several days. 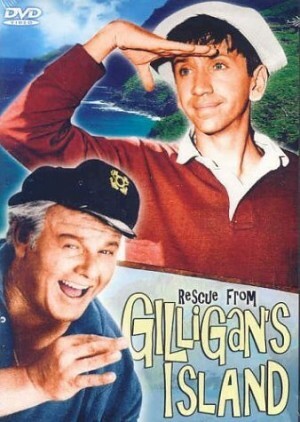 Or as Gilligan once said, a three-hour tour. Yet today, March 28th, marks the 30th day in Tehran for Team Oscar. Has their cultural visit been extended? If so, by whom? The Academy? Or the Thugocracy? Curiously, the Academy itself has not issued any press releases on Team Oscar since the referenced March 2 press release. Odd in itself PR-wise, considering the magnitude of Team Oscar's historic mission to Iran. Show Biz Press coverage of Team Oscar has also been quite scant. Hard to follow events. So where is Team Oscar? Did they fly back home into LA in the middle of the night, sans Red Carpet Homecoming, for PR and avoid-the-press reasons? Or are they still in Iran, 'guests' in the manner Saddam Hussein once held his captive audience of 'guests' in 1990? Recent news on Team Oscar from the Internet is nonexistent. Same old press releases over and over. Very strange. But the question remains. Is Team Oscar home? Are they still in Iran? And if so, who's calling the shots? Are they extending their stay in Iran out of the goodness of their hearts, in order to help aspiring Iranian filmmakers like these? I'd certainly like to know what they thought of all the cultural events in Tehran celebrating Omar Bashir's genocide and Death To America. Were they Hollywood-quality productions? Inquiring Minds Want To Know. If you're as interested in finding out the current status and location of Team Oscar as I am, please inquire of the Academy of Motion Picture Arts and Sciences here. Ask 'em for a press release. Or if we need to put Secretary Clinton on standby. Considering Madame Secretary's success in obtaining Ms. Saberi's release, I do believe Team Oscar should get used to doing Mad Mullah PR or working for the Iranian Thugocracy's Martrydom Productions for awhile.